Image © I-Ta Tsai, CC BY-NC-SA 2.0. 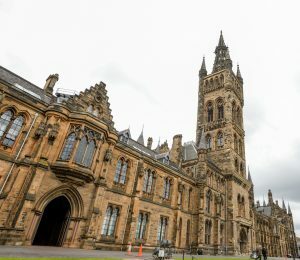 There is an opportunity to join the School of Law and CREATe at an exciting point in our development, as part of the University of Glasgow’s ongoing investment in the creative economy. Two positions are now available, as Lecturer in Intellectual Property Law and Graduate Teaching Assistant, at the School of Law-hosted Centre for Copyright & New Business Models in the Creative Economy (CREATe), an international copyright research hub established in 2012 with research funding from the AHRC, EPSRC and ESRC. Please click below to read more about the roles. You will undertake research of international excellence in line with the School/College/University research strategy, making a substantial contribution to teaching at both undergraduate and postgraduate level. With a sustained and distinguished research profile in intellectual property law, you will be able to demonstrate an established record of high-quality research and the ability to make a significant contribution to the forthcoming Research Excellence Framework (REF) exercise. There are current teaching needs in trade mark law; patent law; e-commerce, privacy and data protection law; and IP related aspects of competition law but expertise across all branches of intellectual property law will be considered. This is a full time and permanent position. Full job details and application procedure here. The role will combine part-time study for a funded PhD with a 0.5 FTE appointment as a Graduate Teaching Assistant (GTA), including research group support and collaboration with CREATe. At the date of appointment candidates will be registered or accepted for a PhD in the School of Law. Depending on qualifications and experience, appropriate training towards the role as GTA will be offered. Candidates are expected to propose a PhD project relating to the creative economy and digital transformations. The position is only open to Home/EU students. This is a five year appointment in the first instance, with PhD completion expected within this period. Professor Martin Kretschmer (Professor of Intellectual Property Law and Director of the CREATe Centre). This entry was posted in CREATe Blog, Opportunities. Bookmark the permalink.